We are, these days, a divided nation, but luckily the Seattle International Film Festival has something for both sides. I’m talking, of course, about the great divide between Dog People and Cat People, each of whom are represented this weekend at the fest in new documentaries. 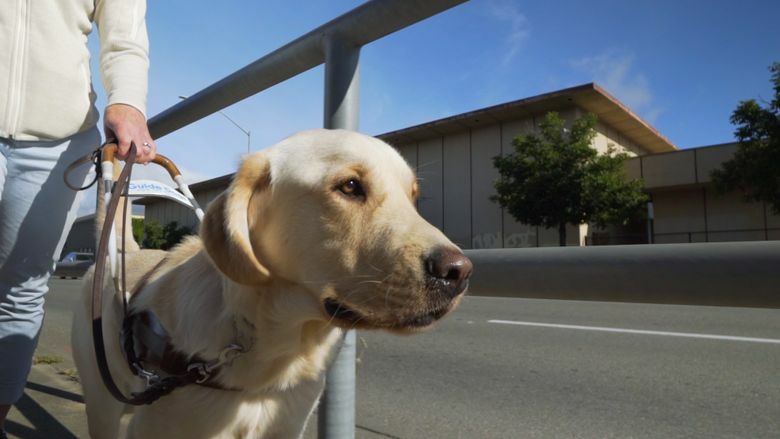 “Pick of the Litter,” directed by Don Hardy Jr. and Dana Nachman, follows five Labrador puppies through their rigorous training to become guide dogs for the blind. “Catwalk: Tales from the Cat Show Circuit,” from Canadian filmmakers Michael McNamara and Aaron Hancox, takes us into the mildly cutthroat world of competitive cat shows. Speaking from Team Cat here (really, have I ever told you how cute my cat is? ), I can say with absolutely no bias whatsoever that these movies are both exactly what you’d expect them to be. “Pick of the Litter” is earnest and heartwarming, filled with adorable camera-licking and tight closeups of beseeching doggy eyes. We watch as the alliterative puppies — Primrose, Poppet, Potomac, Patriot (!) and Phil (best dog name ever) — grow up, make their way through training and find their eventual fate. Will they become guide dogs or breeders, or will they be “career-changed,” a strangely corporate phrase that basically means they blew it, and will have to spend their days as someone’s nonworking pet? I won’t tell you which of the P’s make it through, but I will say that the career-changed ones look a bit embarrassed about it, because they are dogs with a strong sense of responsibility, and yes, damn it, I cried a few times. “Pick of the Litter” is probably the better movie. But I preferred “Catwalk,” for obvious reasons. How often do you get to see a movie whose drama, such as it is, gets interrupted by a hairball? Or one in which a sulky-looking Red Persian gets subjected to a bath, which makes her strangely teeny (and causes her to execute what I swear was an epic eye-roll)? But you won’t go wrong either way. “Pick of the Litter,” 4:30 p.m. May 23, Majestic Bay; 7 p.m. June 4, Pacific Place (standby tickets only). 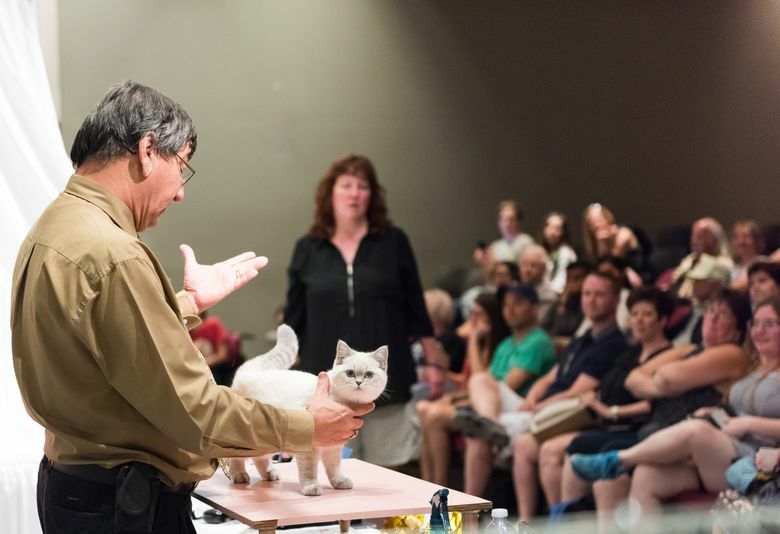 “Catwalk: Tales from the Cat Show Circuit,” 3:30 p.m. May 19, Uptown; 1 p.m. May 20, Uptown; 3:30 p.m. June 2, Shoreline. Writer/director Michael McNamara will attend the May screenings. Seattle International Film Festival, May 17-June 10 at SIFF Cinema Uptown, SIFF Cinema Egyptian, SIFF Film Center, Pacific Place, Majestic Bay (May 18-23), Ark Lodge (May 18-24), Lincoln Square (May 18-31), Kirkland Performance Center (May 31-June 3), Shoreline Community College (May 25-June 2). Individual tickets are $11 for weekday matinees ($9 SIFF members), $14 evening/weekend shows ($12 SIFF members); various ticket packages available. Box office: 206-324-9996, siff.net or at festival venues.